In 2014, Marissa Doner bought a bike. She bought the CX bike to both tow her son around, and to start competing in some races. Marissa met serveral people through a job in Broadripple who were involved in racing. After seeing the camaraderie and enjoyment they got out of the hobby, she decided to step it up from the spin class she had been in for about a year. 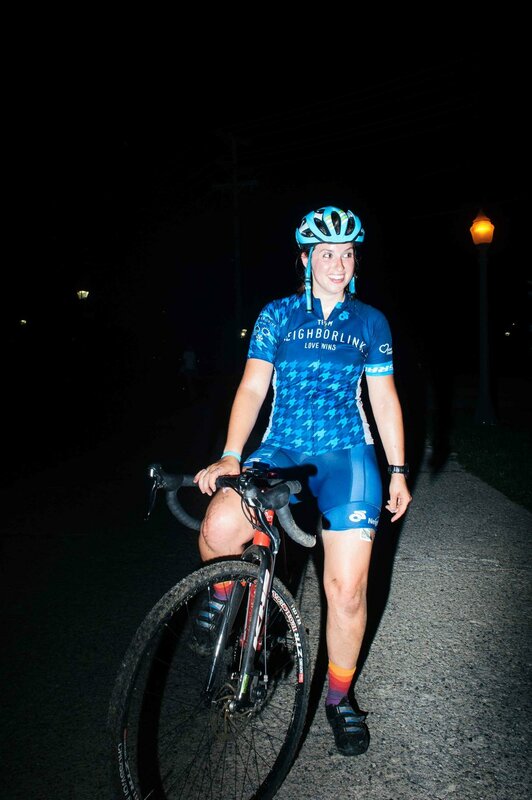 This spring/summer she competed in her first season of criteriums. In the beginning of the first race, she was dropped almost immediately. Pushing through the mental challenge of that race, she kept riding. She was determined to use the rest of the season to learn as much as she could about racing and training smart, and challenge her limits. By the end of the season she was getting podiums. Marissa works in the housing remodeling industry, so despite living in Indianapolis, Marissa went back to her Fort Wayne roots and joined a team committed to improving its neighborhoods. "Being able to focus on helping others serves a unique eagerness for success not only for race results, but for reaching prosperity for improving basic needs for neighbors in need. I think bringing a certain aspiration to a community such as this could be substantial in these people's lives." Marissa loves the never ending changes of CX. The versatility of the bike, and the different terrain/obstacles of courses makes no race the same. No matter your skill level, she says, you can go out, get on your bike and have a good time. The camaraderie and energy of the sport is unmatched, and whether on or off the bike, it is always a unique and fun time for her. With TNLCX, Marissa’s goal this season is to build relationships on and off the course as well as to help spread awareness of the struggles that fellow neighbors are faced with. Collectively, Marissa says, we are all able to improve families lives more than we can comprehend. She is on her bike to compete, but mostly to have fun.